If there is anything in particular you would like to learn please let us know. This thread is open to beginners to the experienced players and we welcome anyone that would like to share their tips and teachings along the way. If you would like to make a tips post that you would like linked on our tips and tricks list please make the post and let us know. You can edit this post at any time to include more information. This thread is all about learning and teaching so no matter what level you are come and join in some fun. You don't have to start on the current challenge you may do any challenge at any time and will receive feedback even on older challenges if you request it. The practice challenges will have no winners or judging, I will however offer in depth feedback to anyone wanting to get a judges perspective, it will give you an insight of what we look for when judging the comps. The feedback can be sent via mail or posted on this thread so please let me know if you would rather the discussion to be private. I can pretty much guarantee if you study this guide and do the best you can to make sure your build is free of errors and such you will be winning some challenges. It is very rare we come across entries that have no issues. The main thing to remember is that even though this challenges are competitions, winning is not everything. Remember winning or placing can be the difference of 1 point which is absolutely nothing on the scale of things when working with an overall score of 100 per judge for building comps. So even if you don't win it does not mean your build/entry is not absolutely spectacular. In all my time of judging I can be 100% honest when I say I have not come across any entry that I have not liked. They are all amazing and even if you are having trouble with placement or any area doesn't mean its amazing. We hope for people to have fun if your not enjoying it there is no point doing it. 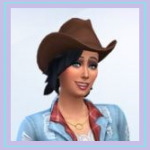 Our aim for the challenges is to help people improve, push them out of their comfort zone to try new things with building and to meet new people on the forums who are addicted to sims like most of us. Winning would be on the bottom of the list. 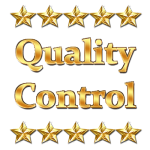 Since the QC comps started we have some amazing people to join the judging panel, we don't always agree and have the same likes and dislikes when it comes to builds which I feel makes the judging more fair. We do however try to keep personal preferences out of our scoring, I am always saying just because we may not like a style or color scheme doesn't mean it is not great. We do however look for styles and color schemes to flow through out the build, so it doesn't matter if your style is to build with bright colors or nice earthy tones as long as it flows nicely you wont be punished with scores for your own personal tastes. These are items that sims need to live day to day, you will lose points if you are missing any of these necessities. Some maybe cosmetic but really who can live without toilet paper? Please be aware that pools placed in rooms or using the fountain tool will not upload with your room, so they can not be judged. Standard room challenges should easily be attached to a building or house with windows not being used on the same wall as entrance doorways. Also avoid putting windows on all walls making it difficult to attach to a house or building. We are very picky with placement when judging as the name says its Quality so we want to see things looking realistic as possible, though we don't expect everyone to be perfect even us judges make mistakes. Basically any solid item should not be sticking into another solid object. We do encourage creativity though so if you are creating something new by combining two objects that is fine as long as its done right and looks like it belongs together. There is not a straight line of things we will pick on and things we wont as it does vary from challenge to challenge. An example where the rules might bend a little is if you have built a house say to look like its in the mountains and you oversize rocks and stick them through walls to make the walls look like its made of those rocks. We wouldn't critique that as long as you have done your best to make it look natural. On the other hand if you were to just place a rock near a wall and it was sticking in we would probably take points off for that. Its not always easy to avoid it when creating things to look natural and you wont be penalised for that, like making a natural pond with rocks surrounding it wont be marked down. While judging once a judge has found 15 errors they will stop looking for them or listing them and we will let you know in the feedback that there was more but they may not be listed individually. Trust me when I say the points add up and can be the only thing preventing you from a win, its a shame when an amazing build doesn't win because of placement errors that can be avoided easily. We suggest that everyone play test their builds with a sim to make sure all usable items can be used, it is very common especially when using moveobjects cheat that items can prevent another item to be used. Sometimes it doesn't even look like its in the way but maybe blocking it's required area to be used. Trust me when we say we understand play testing is boring, I myself dislike play testing my own builds but find it doesn't bother me when judging other peoples. 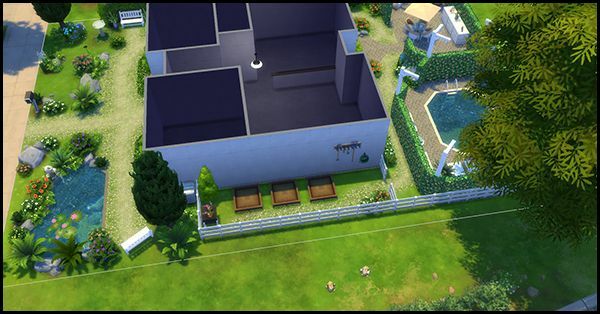 A tip from me is build your lots with an active sim on the lot then you can flick over to play and test during building, I normally do this when I have finished with a room. It saves you having to do the whole build at the end. An unusable mirror, remember sims use them for charisma skill so we do like to see them usable. Though depending on the challenge and if its used to create something new we don't always stick to this rule. Another common issue is stairs not being able to be used because something is placed on the wall next to them preventing access, this will make your whole upper floor unplayable and will lose you quite a bit of points. We suggest while sim testing to make sure sims can enter all rooms. Another huge issue we find is items dropping when moveobjects cheat has been used and items have been raised off the ground. If you have done this please save your build to your library, bulldoze the lot and replace your build. Check to see if anything has dropped out of place, it can cause quite a lot of issues with other items being usable. When we changed the judging breakup with scores we added the creativity score, out of 15 for build challenges and 10 for the room challenges. What this means is we want to see your unique touch, what sets your entry apart from everyone elses. Design - shape and architecture of your builds, obviously you will get a higher score for experimenting with shapes than doing a plain square shape. Creative decorating - we love seeing unique creations, feature walls, combining several objects to decorate or to create something new. Make sure you take care when doing this as it needs to look like the objects belong together and not just stuck together in a messy fashion. Even though each challenge has a requirements list try to add more, make it your own, make it unique. It will help your creativity scores adding more than whats required. For example we may do a park challenge asking for a play ground, a bbq area and some toilets. That's pretty easy to do right? But what will set it apart from the rest. How about including a gazebo for chess players or easels for painters, or maybe even a nice natural looking pond with a fishing sign for people to fish. The options are endless just push your creativity to the limits you may surprise yourself what you come up with. Make sure your styles and color schemes flow, you don't want to have one room looking modern and another room using antique items. Your rooms don't have to be all the same color but just make sure it flows through out the house, try not to have one room all done in purple then another in blue and a third in red. A trick to making them flow is say you have a nice purple and white lounge but you would like to do a yellow bedroom or study, decorate it with some touches of purple in the bedroom or some yellow touches in the lounge. Breaking up walls especially with the exterior with more than one wall covering really gives the builds more character, they can look quite boring all the same color and texture. Another area we really look for is bareness, anyone can make a room and put the bare essentials in and there is probably another 1000 rooms exactly like it. Decorating and filling bare areas gives your room or build its uniqueness. This includes landscaping, exterior walls even roofing. So try not to leave big bare areas or bare walls. I always say when you think you are finished your build go back and spend some more on decorating. I zoom out at the end and go through every level and look for bare spots and bare walls, also is a good time to check placement and see if you notice anything sticking into other things. Lighting is another area included in the interiors and exterior, we always check the overall night view of the exterior, make sure to add exterior lights to the exterior walls and some garden lights through your landscaping. It can really bring builds alive and give an amazing night view. On the interiors make sure rooms are well lit, I have hardly ever found a room that doesn't have a ceiling light bright enough. Set your game at night time and view the rooms to look for dark spots. Lights also double as some great decoration especially on exteriors, but even on the inside a nice table lamp or standing lamp can add that little bit extra decoration. 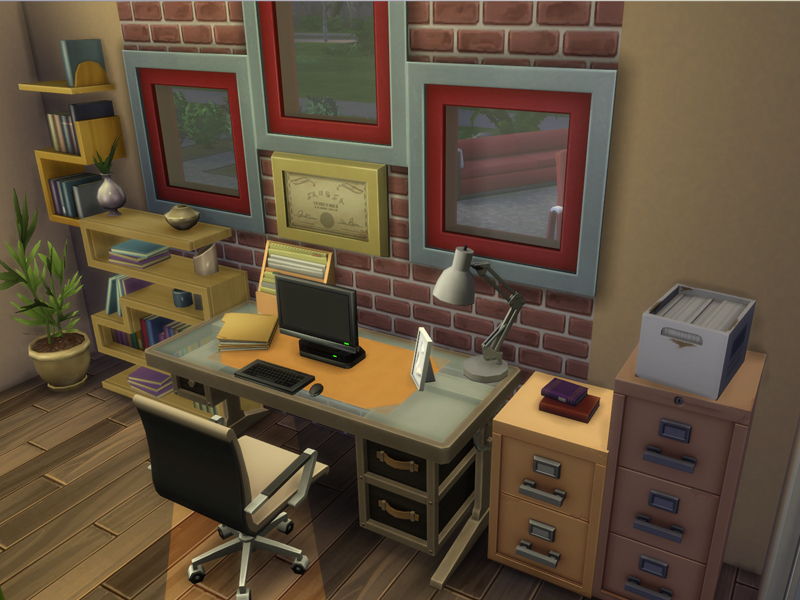 Clutter is another area that can really give your entry some personality and uniqueness, some people don't like using clutter because its messy but it doesn't have to be. Its only messy if you place it messy. A tissue box placed on a table or shelves, some soap and toothbrushes in the bathroom can really help make the build look lived in but be neat. Or maybe you have a messy teen or child that lives in one of the bedroom, clutter it up with some dirty laundry on the floor, some books lying around, toys randomly on the floor. Also don't forget using the bb.showhiddenobjects then in the search bar type DEBUG and select the *DEBUG* will give you so many amazing clutter and decoration items. I will be 100% honest here, if you do not learn to use bb.moveobjects and the ALT button tip you will always have some placement issues in your builds. 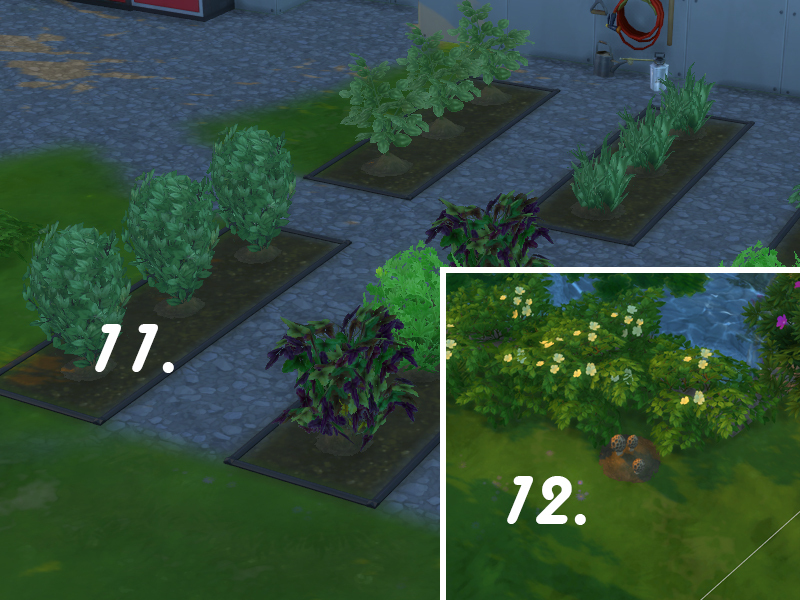 For example one of the main placement issues is pot plants placed near walls, the default tile that the game places some of the pot plants on will stick leaves through the walls. You will lose points for this. ALT button - When placing an item on the ground or walls hold down the ALT button and you will have complete freedom to place this object so you can move it away from walls or other items so they are not touching. bb.moveobjects - Using MOO as we call it for short, hold down the SHIFT, CTRL and C buttons to open the dialogue box at the top. Type bb.moveobjects and enter. Hold down SHIFT, CTRL and C buttons again to close dialogue box. Now you can use the 9 key to raise items higher or the 0 button to lower them back down. So say you want to put a shelf on the wall but its to low, turn on MOO and hit the 9 button til its in the position you want. To have compete freedom where to place it hold down the ALT button and move it where you want it. Now to have complete freedom say to place an object on a counter or shelf that the game doesn't allow you to place there. Turn on MOO and raise the item to the level of the counter or shelf using the 9 button. Make it high enough so that it's at the level it looks like it is sitting on top of the counter or shelf. Once you have it at the right height hold down the ALT button and move it into the position you want on that shelf or counter. Enlarging objects - this is a great tool to make items look more realistic, or simply for something different. I love enlarging plants and flowers to add a different look to landscaping. To do this pick up the item you want to enlarge then press the SHIFT button and ] button. The more times you press ] the larger the item will get. To shrink the object back down press the [ button instead of ]. Be careful using MOO as it can create more placement issues as you will now be able to place any object on top of or in, sticking in or sticking through any other object. We encourage everyone entering the competitions to learn to use these tricks as it will improve your placement and allow you to be even more creative. All the judges and myself are more than happy to help you so please feel free to ask. Another issue we sometimes come across is sometimes people pay more attention to say interiors and the building itself but put hardly any effort into landscaping. We judge all areas and check them thoroughly. So make sure you give as much attention to landscaping, roofing, exterior walls, interior walls, decoration everywhere, clutter and so on. Usually this maybe because someone is not as confident in one area than another and that is fine the main thing is that you at least attempt it than leave the area bare. The practice challenges can definitely help on your weaker areas. One last piece of advice, I would suggest making a check list that you can over view once you finish your build. Your list can be as big or as small that suits your individual needs. We welcome anyone that has building, design, landscaping and decorating tips to please share on this thread. We would love to find out how you create your amazing creations. as some of you may know I sometimes message people, mainly novices or intermediates that have been entering for a while but we feel could do with a bit of help improving in the areas that maybe holding them back from winning some challenges or more challenges. We will be playing around with some shells with decorating and clutter filling, making sure that there are no bare areas and making the most of budgets. I am happy for anyone else to join in with this not just to learn but to teach also because I know I don't know everything so feel free to follow on and decorate the shells also and post pics. This is not a challenge its just for us to learn and give tips to each other to improve. So there is no winners or prizes just learning and tips. The other advantage of joining in is you will get a bit more of an insight into what we look for while judging. (Let me know if you would like your feedback to be private and mailed to you otherwise it will be posted on the thread). Also make sure if you request feedback that you include a gallery link. 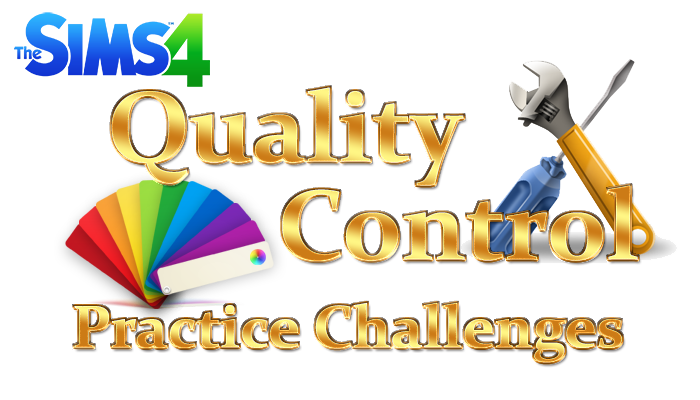 No current challenge but if you have not already completed any of the practice challenges please check out the post below and try out some of the old challenges. Always save your build to the library, bulldoze the lot and replace your build to see if anything disappears or moves. Get creative, try create out of the box decoration that gives your house personality and different from a normal plain house with the basics. 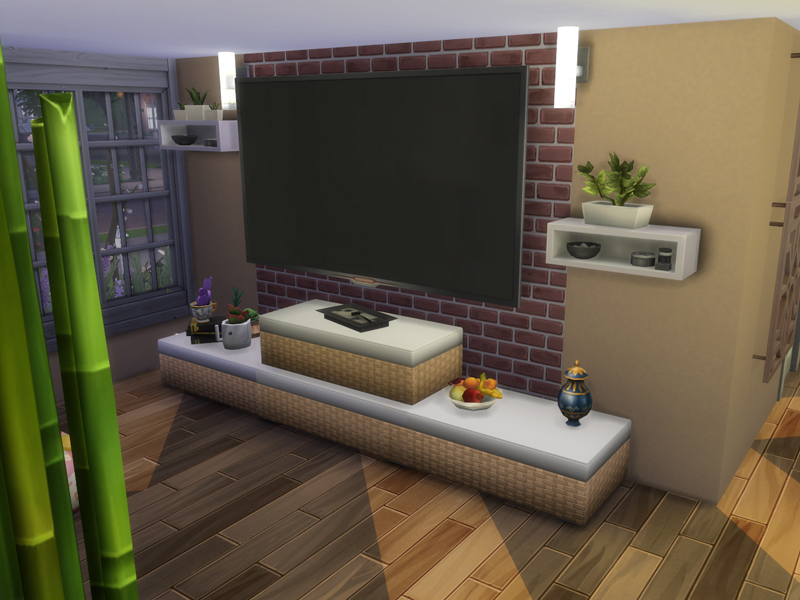 One thing we find is when using standing plant pots that most of them if placed on the tile the game places it next to a wall more often than not it will be sticking through the wall so hold the CTRL button down on your keyboard and move the item slightly away. Cheat bb.moveobjects aka moo is great tool for decorating and placing items on shelves, or making things look more creative. Always PLAY TEST everything, especially if you are using Moo make sure everything that can be used is able to be used. Make sure to double check that nothing is sticking into other things, hold down the Control key on your keyboard to move items away slightly to a better position to prevent this. When you think you are finished go back and decorate some more lol. When your finished zoom your camera out and look for bare areas that could be filled, this also means bare walls and overly empty spaces. Try not to rush as that usually leads to finding placement and play issues. 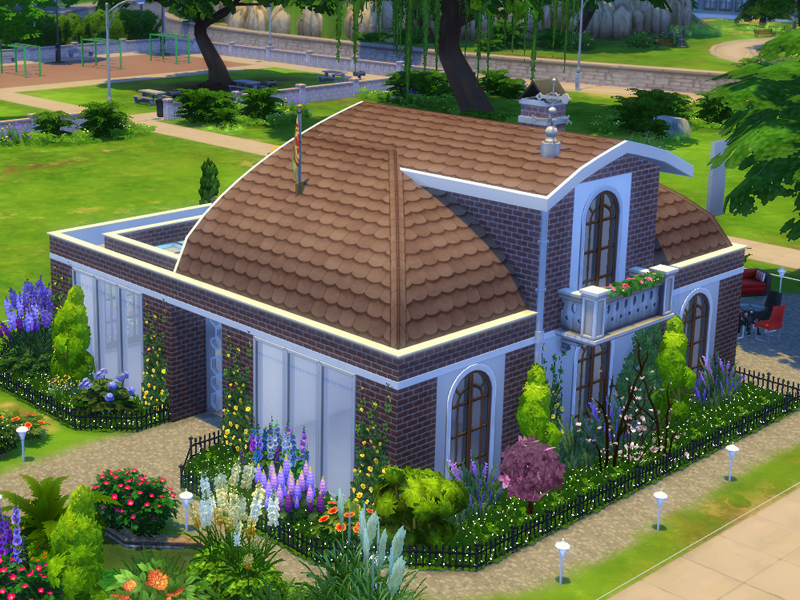 There is nothing more annoying that downloading a beautiful house from the gallery to find that hardly anything can be used. Firstly we are doing the landscaping as it was my weakest part of creating and steskens would like to learn more with it to. Dont touch the shell exterior or inside yet we will get to that later. Feel free to post pics once your done and if you would like some feedback just let me know happy to download and check out in game and give advice. Also would love some more experienced creators to have a go and post pictures with tips to help our less experienced builders. 1. Terrain paint pathing leading to the front door from the street and from the front of the house around to the back off the house (you can go around either side of the house. 3. A small water feature in the front yard, made with either fountain tool or pool tool, try make it look natural by lining it with plants, flowers and rocks and I suggest to help with the natural look dont make it square. You can decorate with fountains or lilies or anything you can think of. Ok remember these are all about decorating and using clutter, so do your best to try be creative and feel free to ask advice anytime. Dont touch the exterior of the house or inside yet just concentrate on the landscaping and things above, I will do the same and will post pics. There is no budget for these so let your imagination go wild, the goal is to decorate. Make sure to double check that nothing is sticking into other things, hold down the Control key on your keyboard to move items away slightly to a better position to prevent this. Landscaping does not have to be perfect, sometimes being messy with flowers and such can give a more natural and real look. 1. 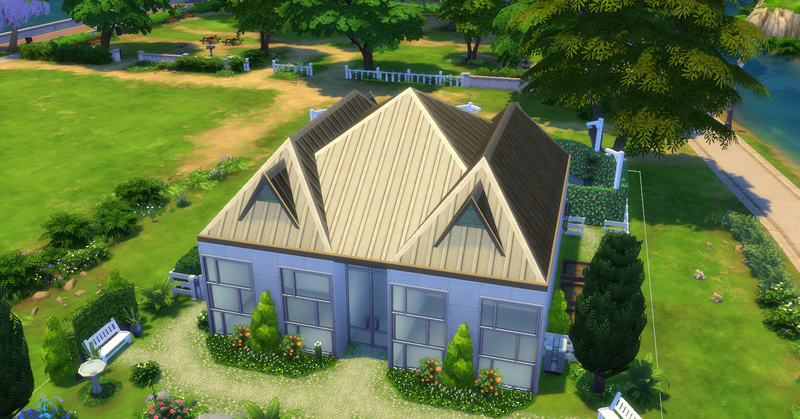 For the roofing itself I would like everyone to use at least 3 pieces of roofing but you can use as many as you like. Dont be afraid to use items to decorate your roofing to suit your theme, using debug items on shops like an oversized coffee cup for a coffee shop. Also make sure to remember to use a chimney of some sort if you have placed a fireplace on your lot. Another style to give more life to your roofing is to build a roof top garden or put a swimming pool on your roof. Anyone that is wanting some in depth feedback please ask or message me and I am happy to download your lot and discuss it with you. Also again for those more experienced builders please have a go, show pics and share your tips. Download shell here or continue on with the shell from parts 1 & 2. Ok so time to give that house some inside life, so this is all about decorating for now so please don't add any walls try and use what is in the shell. One thing we all need in our life is a bit of clutter hehe. My first tip for any interior is Decorate! Decorate! Decorate! So you need to decide on your style/theme you are going for and try keeping within that style/theme through out the house so that it flows nicely. Also you need to decide who you are building for, is a family going to live here with kids? Is it for a bachelor or bachelorette? Maybe a young married couple? What about housemates? What we want to see in this challenge is the use of clutter to give this house some personality and a lived in feel to it. bb.showhiddenobjects and debug items are your friends. Make sure the house has all the necessities needed to live day to day. Always PLAY TEST everything, especially if you are using Moo make sure everything that can be used is able to be used. When your finished zoom your camera out and look for bare areas that could be filled, this also means bare walls. Your House should now be complete, make sure you sim test finished houses as decorating and moving things around can sometimes affect other items and make them unusable. We will be working on a 30x20 lot again but we will attempt a few different things. Firstly we are doing the landscaping. 1. A pool (not square) with some kind of feature decoration, such as you could leave sections of land in the centre and make a centre piece decoration with plants or fountains. 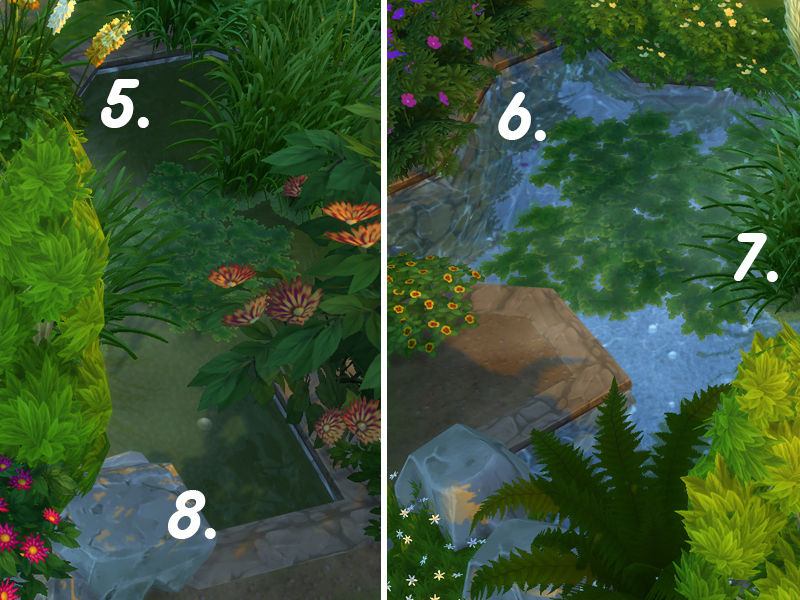 Or decorate the pool to look more natural like the natural pond from challenge 1. Or decorate the back side of the pool with statues, flowers or fountains. 2. We would like to see at least 3 different terrain paints used in the landscaping, can be used for pathing or creative paint used to make the flower beds and gardens more natural. 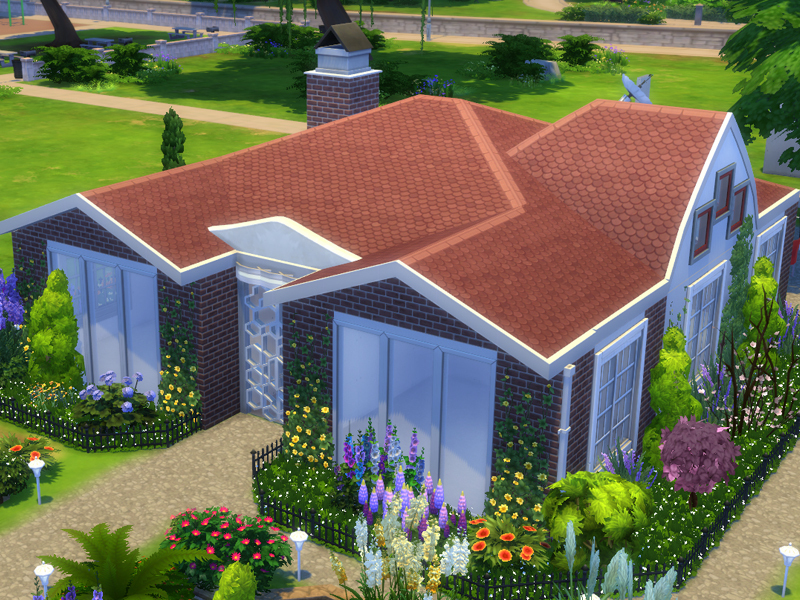 Dont touch the exterior (incl patio) of the house or inside yet just concentrate on the landscaping and things above, I will do the same and will post pics. It doesn't have to be completely open we would like to see some different styles of lattice roofing as long as some of it is open. 4. Rooftop patio usable by sims (this can either be on the 2nd floor or top roof). From time to time in challenges I see people create rooms that are just to big and they end up having trouble decorating them which leaves them looking bare, so we would like to see you create your rooms within the shell and decorate it without anything looking bare. You may decide on the type of rooms and number of bedrooms/bathrooms. Also we are going to try some different types of decorating. Tip: To do this press SHIFT, CTRL and C on your keyboard then type bb.moveobjects. Press SHIFT, CTRL and C to close box again. Place your shelving, then select the clutter item you would like to place on the shelving. Press the 9 button to raise the item from the floor to the level of your shelf, once you have the level hold down the ALT button on your keyboard and move the mouse til the item is in the spot on the shelf you would like it then press the left mouse button to place. Make sure the items are NOT sticking into other items. 3. Create some feature walls, this can be done in several ways. You can create your own bedheads decoration at the top of a bed. Decorate a feature wall in the living room around a fireplace or behind a television. One thing us judges all agree on is since we started judging we see things differently now when looking at builds. We are always looking for placement issues, or items that don't work because of placement. This challenge is to try test your eyes for when you test your builds. @pebblycat built a house but I don't think its up to the quality control standard, I keep telling her there is lots of mistakes and errors but she doesn't believe me. So I need your help, there are 20 faults with this house and we would like you to find as many as you can, hopefully all. They range from all different types of mistakes like unusable items, to placement issues, missing things, bareness and so on. Some are more obvious than others, can you find all the mistakes and judge pebblys house? We have some signature banners for people who give this a go which will have the following gold stars on them. Now the house that pebbly built is base game items only so that anyone can do this challenge whether you have any of the packs or not. 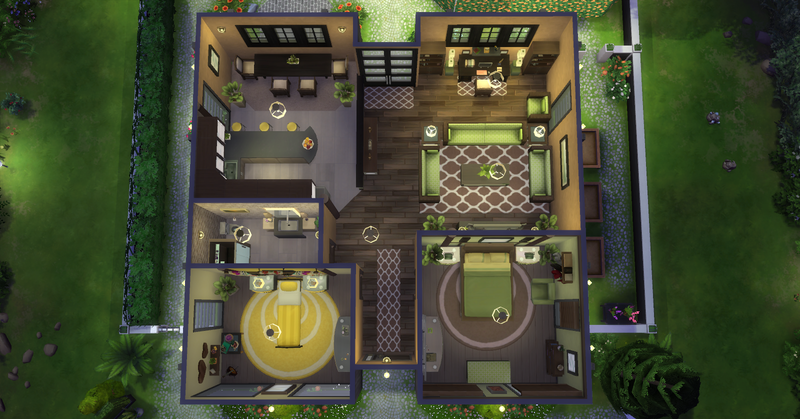 The lot that you will place the house on is the Daisy Hovel (30x20) in Willow Creek. Then type money 90000 (or the amount you need) hit enter. Press SHIFT, CTRL and C button at the same time to close chat box. Make sure you have a sim on the lot to sim test. Find the 20 mistakes/errors but do NOT post them here as that will spoil it and make it easy for others. Once you have found as many as you can you are to private message @pebblycat with your list to get your score and get the full list. We will award your siggie on the thread. I warn you though pebbly is a tough judge and shes done an impeccable job and creating this issues with her house, even myself and @lisa17ann didn't find them all hehe. For this challenge I would like you to create your shell. Also this challenge will involve building on stilts and to work with different shapes. We will be changing the order in the way we build this time. This challenge we are going to build on stilts, so the house itself will be built off the ground. 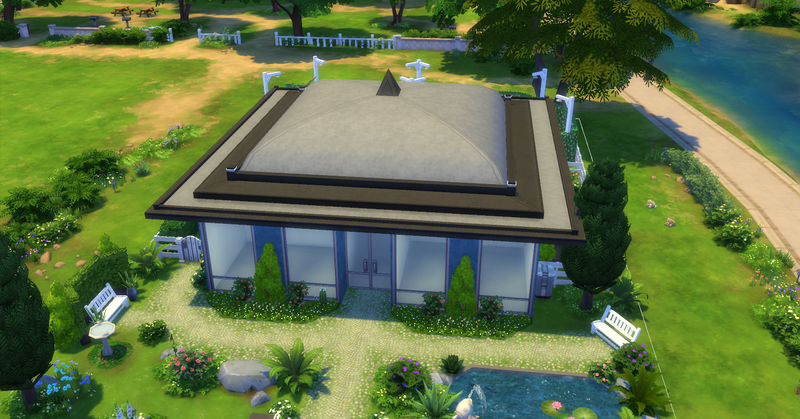 Also I want everyone to experiment with shapes, the shell itself for the house can NOT be square. Lets create something different as I notice some people always do the same shape or always do square houses. So push yourself out of your comfort zone. 1. Create your elevated base for your house on stilts, use the patio tool to build it and create its shape, add your stairs. (Stilts should be 1x1 square wall pieces or 2x1 at most to leave plenty of room on the ground floor for decorating). Don't worry about doing fencing types or trims yet we will do that in part 2. No decorating yet just leave your entry as the patio landing, plain fencing, stairs and your plain shell. Once you are done if your wanting feedback please upload and post with your entry form. So let's up the difficulty a bit, this challenge is about pushing your limits. Try create something you haven't created before. Think up a creative theme and let us know what it is with your entry and photos. Experiment and decorate I would rather see you over decorate than have things looking bare. 7. 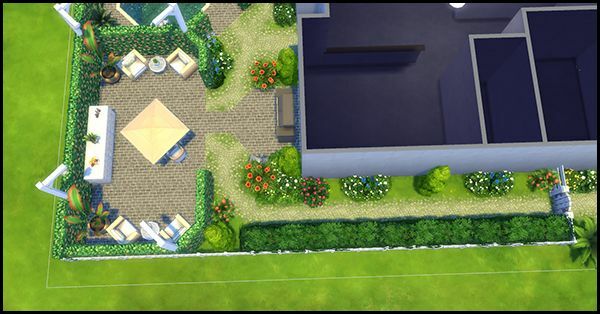 Patio activities, give your sims something to do out on the balconies where they can enjoy the views. You may also adjust the shape and size of your stilts to match your exterior they don't have to be square as long as they don't take up to much space on the ground floor. I would like you do experiment with some items for decoration purposes, to use two different items together to create something new. Now there is a fine line between looking like something new and decorative and looking like one item sticking into another item. The reason I say for decorative purposes is if you do this with usable items you run the risk of making them unusable and we don't want that. Tips: Try to keep your overall theme of your interior the same so that it flows but you can use different wall coverings and flooring to break up solid colors. Also remember to check each room when finished for any bare areas that could be filled. In this challenge we are going to really get picky with detail and decoration. Really push yourselves to dress up the ground floor of your build. 2. A center piece feature on your garden, this can be a custom fountain with decoration or a garden center piece with a statue. We would love to see detail and creativity using several items to create your center piece feature. 3. Garden lighting, impress with that night view especially since the garden is under the build it will need to be lightened up. 4. Plenty of flowers, plants, rocks or decoration. 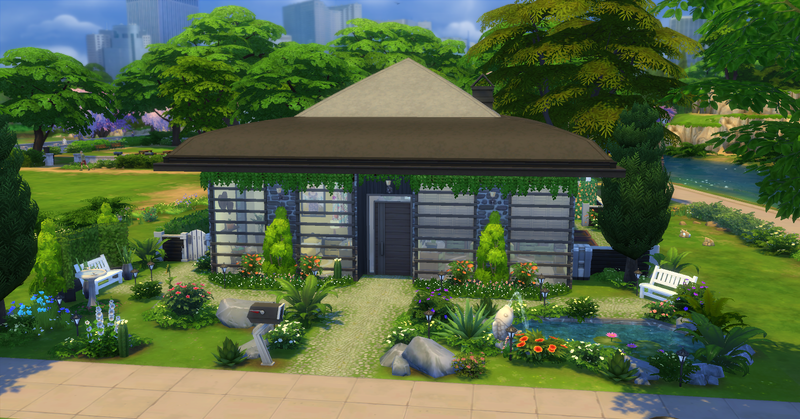 We want to see detail and effort to dress up this garden to suit the theme of your build. Tips: Think unique, what will make your build different from the rest? Make it eye catching always zoom out and think does this look appealing. One thing I always do is make sure the gallery picture looks appealing, though make sure your decorate all of your build not just the front view. 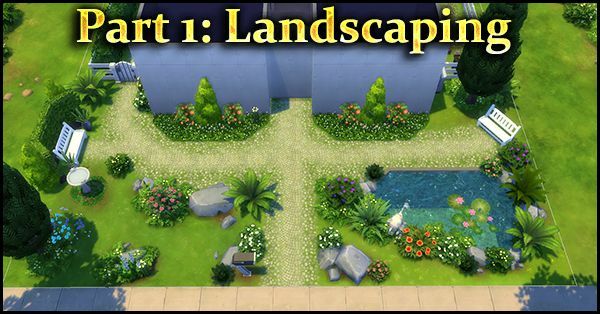 If you are wanting downloads remember first impressions count so having beautiful unique landscaping, exterior and great gallery picture really help. A lot of people I know hate roofing, me included. It was always my weakest point but I pushed myself to do as much of it as I can to get more comfortable with it, even though I am still not an expert it did help me improve a lot. There is four small shells that we are just going to use to create some creative and interesting rooves. Each one is a different shape and I would like to see 4 different types of roofing. A tip I have learnt with rooves is the more pieces you use the more creative and detail it looks. Push yourself out of your comfort zone and try create some roofing you have never attempted before. I have posted my examples on the thread without using decoration but you are welcome to use some on yours. If you say yes to feedback on your form please make sure you include a gallery link so I can download and look at them in game. This post here is purely so I can keep track of peoples entries (I keep losing them in the thread hehe), also so I can keep track of who has had feedback done already. Feel free to look through them as they have tons of great ideas. Just click on the blue words for what you would like to view in the thread. 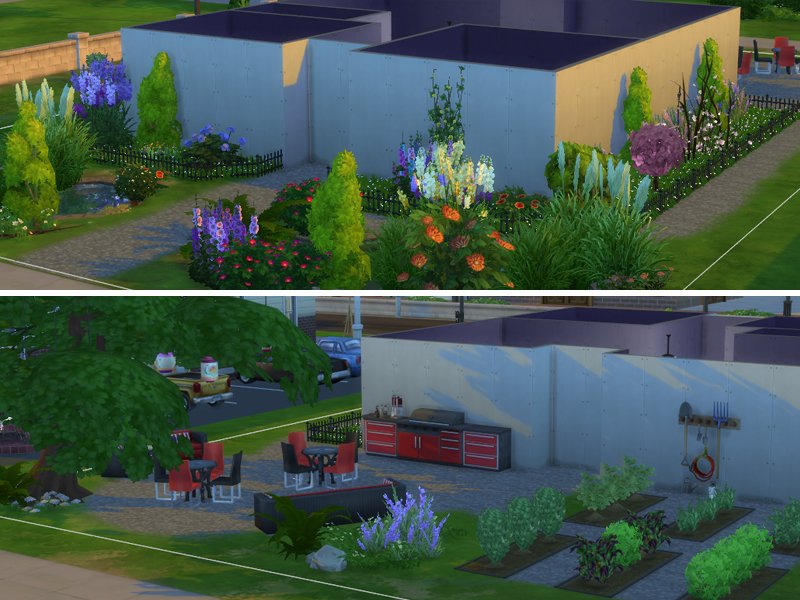 Ok so Ive done my part 1 landscaping and here are the pics, I am far from being an expert with landscaping I am better at judging others than creating myself haha but the goal is to decorate and clutter without overly doing it and not having anything bare. 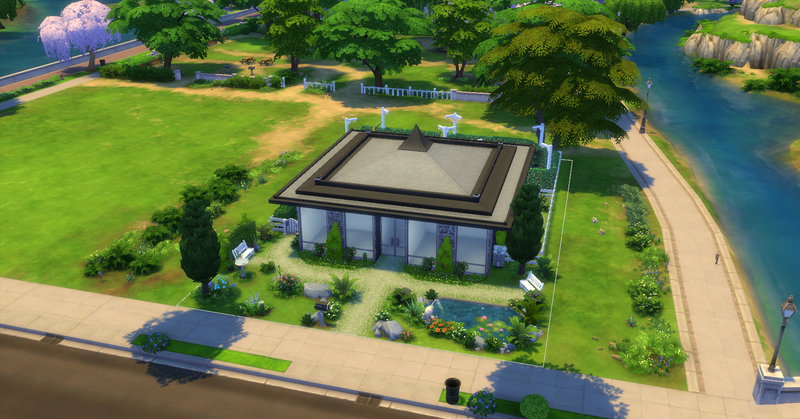 So here is my front yard with the natural looking water feature, I chose a pond. I am sure others can do a much better job and I hope we get some experienced builders helping out also some novices and intermediates. Instead of just getting a short paragraph of critique here is your opportunity to really discuss ideas and areas to improve. Also would like to note that roofing has been a weak point of mine for a long time and I push myself to try use many different pieces and to try decorate, it really has pushed me out of my comfort zone of doing plain 1 piece roofing. Like already mentioned before use the pool or fountain tool to give them a more natural form. Use plants, rocks and those newish edges to conceal the edges of the pond. Using the bubble and mist emitter thingies might add to the natural look as well. You could also use the different fountains to create small waterfalls for ponds. 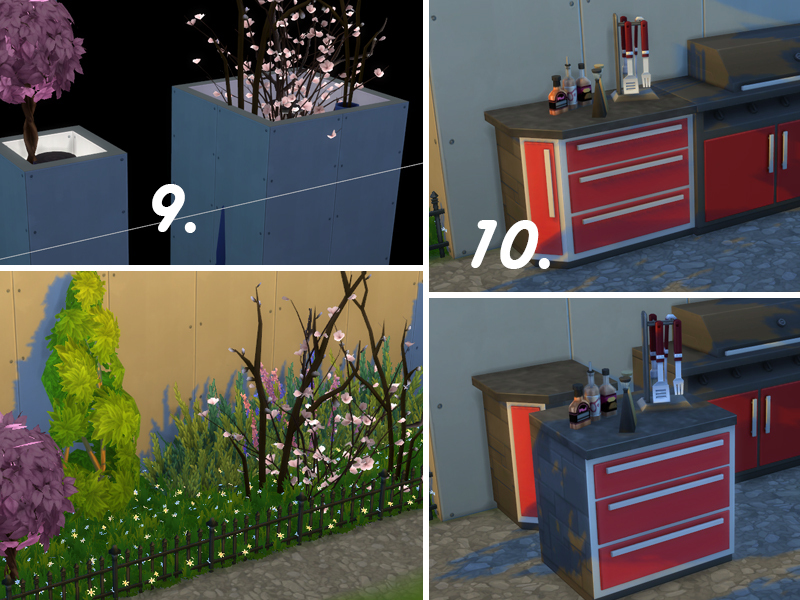 The cheats bb.showhiddenobjects and bb.moveobjects are really usefull for landscaping. As well as using ALT for placing more acurately, SHIFT for placing more than one item and F5 to have items snap to the grid in smaller steps than usual. Be carefull with terrain paint. Use the slider to make the edges more blurry. Using the smallest avaiable option allows for adding the flower paints more selectively. Mix different paints to make it look more natural. 1. Use the fishing signs (sorry my game isn't in english, so I don't know the items actual name) to add some fish to your pond. Since the fish do appear a bit behind the actual sign you might want to keep checking in live mode where they actually do appear. The pond needs to be large enough for this or you might have some fish jumping out of the ground outside the pond, which would look plainly weird. If you have enough space besides the pool it will even be useable. I didn't have enough space here to place the sign so it could be used. You might cover them up with a rock or plant in that case. 2. Use items from the debug menu to add more variety, here it is that log Sims sometimes catch while fishing, as well as some twigs. Also if you try to build a starter home and want a pond you might want to use one of the debug ponds (costs nothing and your Sim can fish without leaving home). 3. Even with the more natural edges for ponds and pools it does seem a bit weird to have a sharp edge like that. So cover it with some terrain paint like in 4. 5. 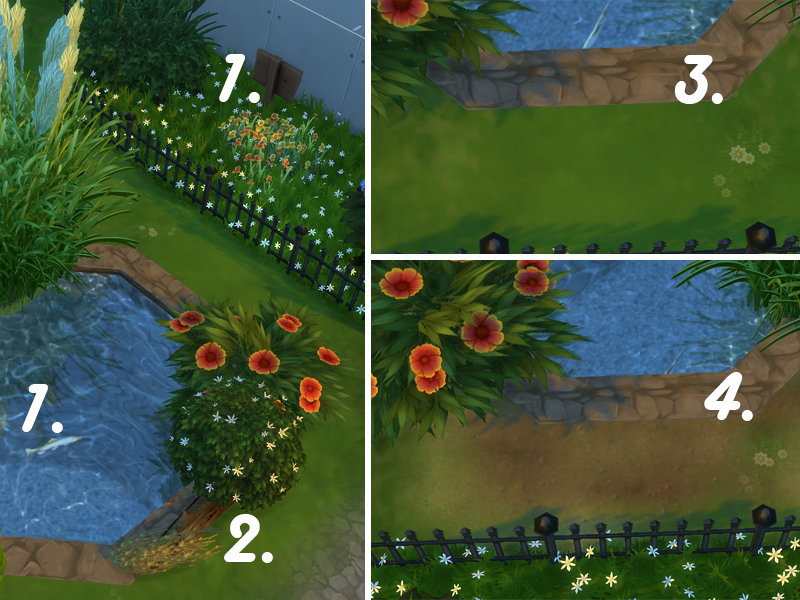 To give the pond a more natural look use the different water colors. 6. Another way of creating a more natural look is using natural wall paint and floors. By the way you can use roof paints in rooms as well to use them as flooring. 7. 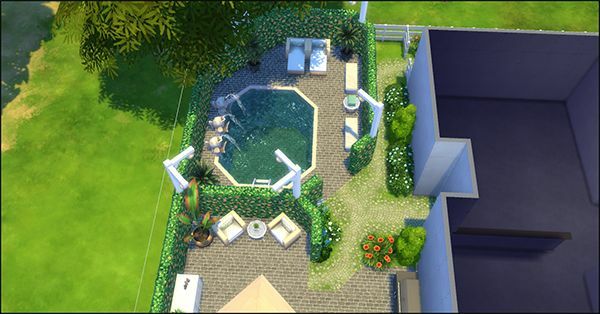 There are two plants your sims are able to swim through, you find them in the pool section. Of course you may add other water plants as well or elevate rocks, but keep in mind your Sims wont swim through them, only around them. 8. Keep an opening for your Sims to leave and enter the pond, if you use the pool tool. Enlarging objects is also a great way to clutter up some space without using too much cash. 10. I used moo here to create a different counter space. Since placing the edge counter in the main counter make the main one unusable for your Sims I cluttered it up with some items. In general you could use moo to fuse objects and create something new. 11. You do not need to buy planters for your harvestable plants. You can create your own planters with terrain paint and walkover fences. 12. harvestable plants may be used for landscaping as well. Just make sure to place them in a way your Sim can reach them. Now did I forget anything *ponders* Ohhh right if you use so many plants as I did for my Oneiro Therines Nyktos, make sure to test the paths you created. I had to change plants there more than once in order to have the Sims walk on the paths. Hear is my landscaping and I like making ponds by using the debug Items to make It more lively and also some twigs to enlarge for flower beds for mulch. So my theme was a bit of a modern relaxing theme and the occupants are a single dad and his teen daughter. 2nd pic is of the little study nook in the living room, I always add clutter to my desks and tables to give a more lived in feel. Shelving and clutter is always a great idea to give more personality to rooms. I love making my own shelving and decorating it depending on the room its in, and getting creative with the shapes of islands is always fun. Remember decorate, decorate, decorate!!! The fruit bowl is always great to add some color but you can always go to the debug items and use things from there to decorate, such as wine bottles, mugs and glasses on shelves or benches. Single fathers bedroom, again I love the feature walls behind bed heads and I love getting creative with mirrors here I have combined 2 different types of mirror and the wall strip decoration. Always clutter up your dressing tables and bedside tables. Teen daughters room, being a teen girl I tried to bring in a bit of bright colors, and again a feature wall. I realised while doing this post I have forgotten the blinds in her room (whoops). 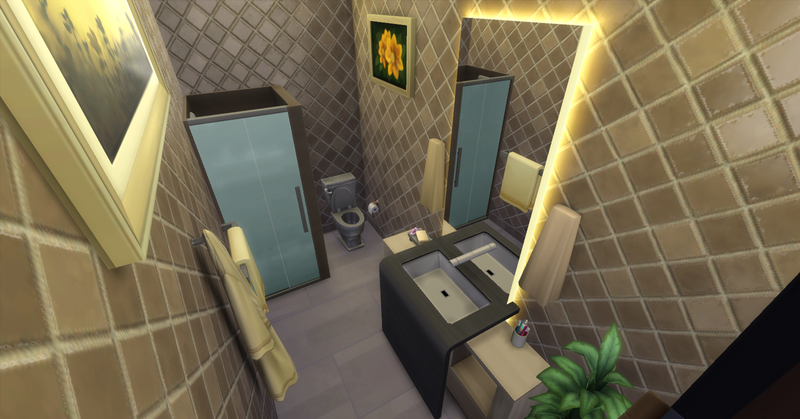 Lastly the bathroom, my pet peeve is when people dont decorate bathrooms with toilet paper next to the toilet I mean come on sims have to wipe themselves to lol. 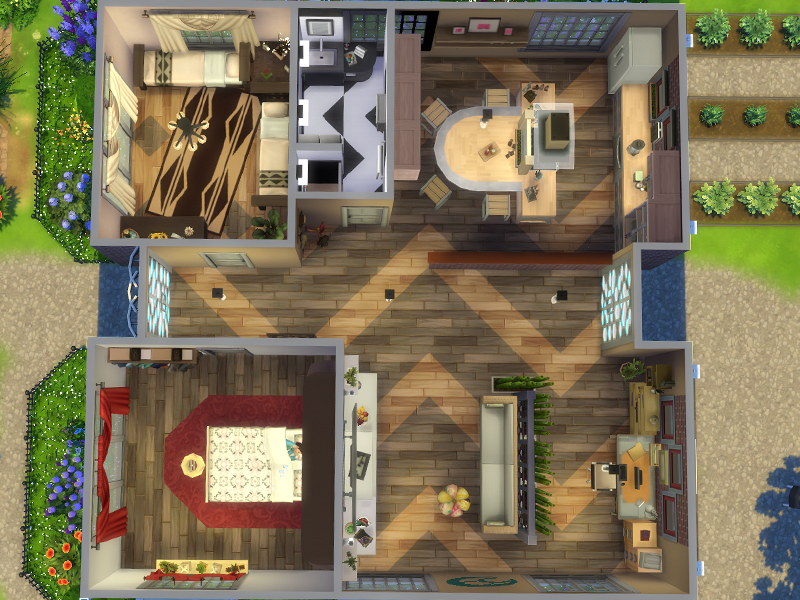 Feel free to download and pick apart my build I am sure Ive made mistakes in places, though I am such a slow builder/decorator because I take so long placing everything lol. 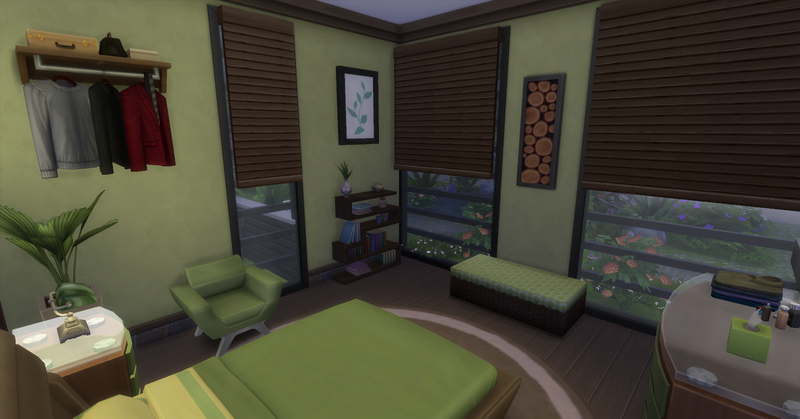 Ok here are some pictures of my interior for the practise challenge. 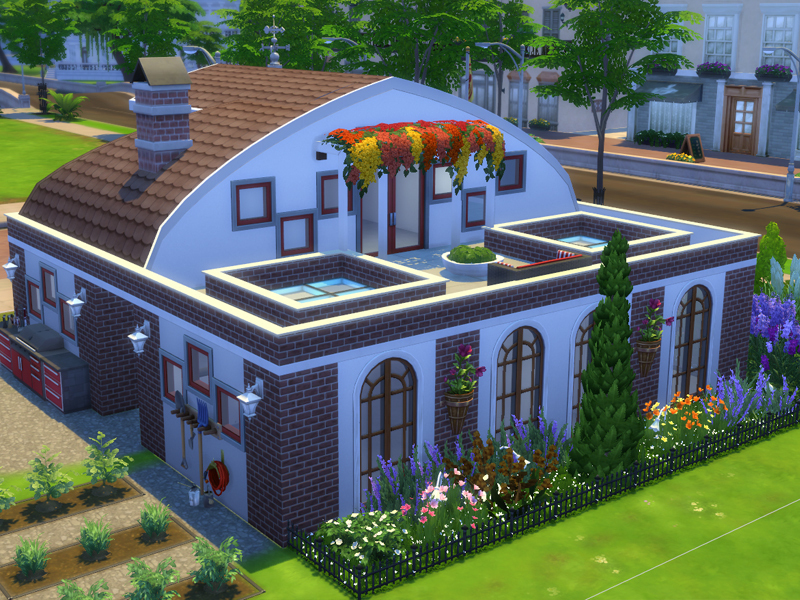 I didn't upload it because I'm not quite happy with the exterior. But if anyone wants it, I'll upload it. As you can see I used different colors of the same floor type to create a custom floor design. Or in the case of the master bedroom to create my own rug. I filled the counter space with some books, a family picture and a clock (I really wish they had some more modern alarm clocks). The window sill was created with two shelfs. Instead of a dresser I added some shelves with clothing and a shoe rack. 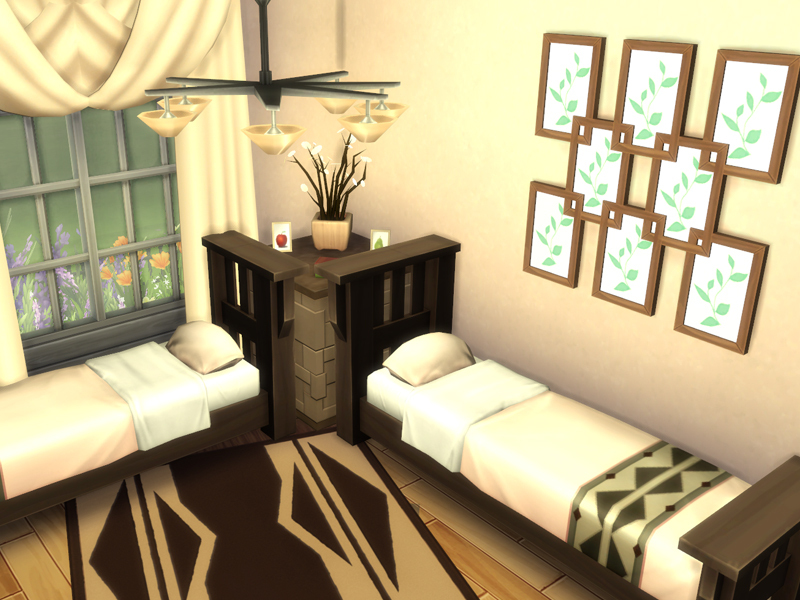 I placed two counters in the square between the tow beds in order to create some space for a flower lamp, some books and picture frames. On the wall I got creative with some of the wall pictures to create something new. 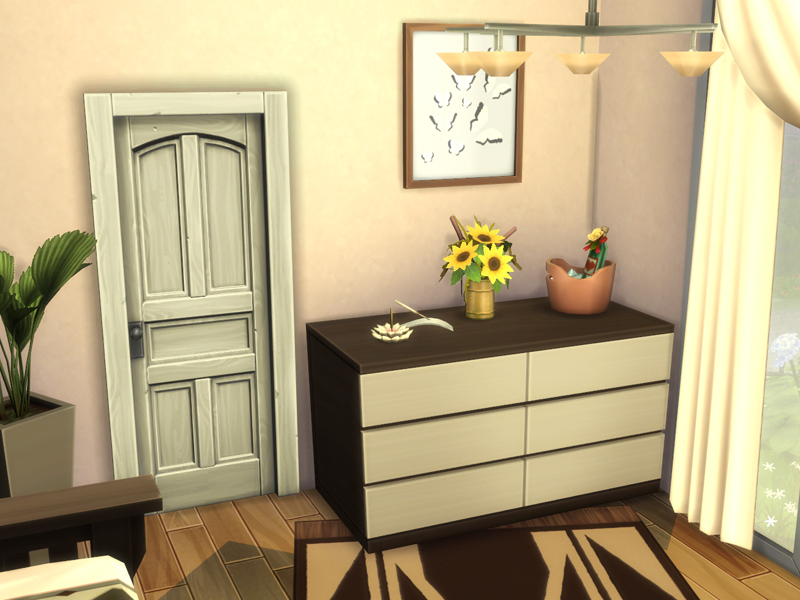 The items on the dresser were placed with MOO so they wont snap to the default spaces on the counter. I added another wall to the bath to "hide" the shower behind. And cluttered up the counter next to the sink as well as the two shelves above the toilet. 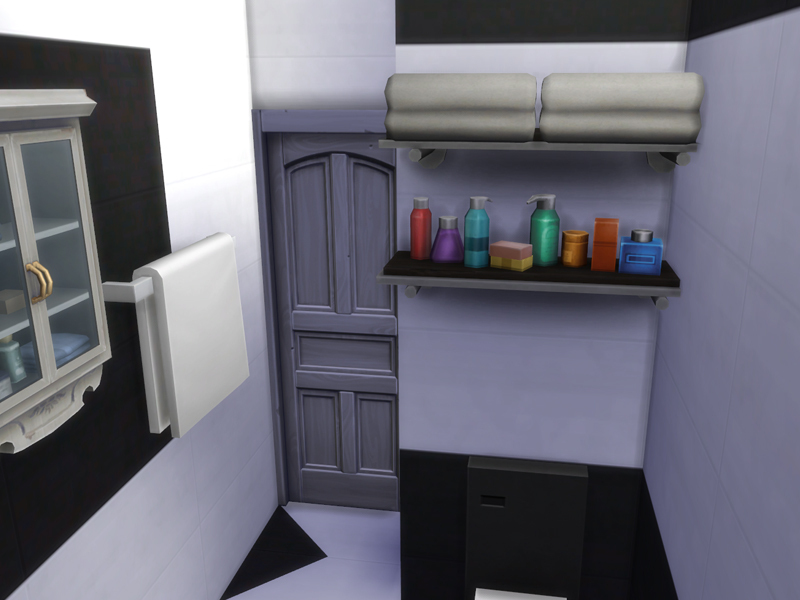 Personally I feel the bathroom looks a bit bigger than it actually is because of the hidden shower. The living area was seperated from the office with the help of bamboo and a fence. The office itself was created with two bookshelves and some file cabinets surrounding the desk. 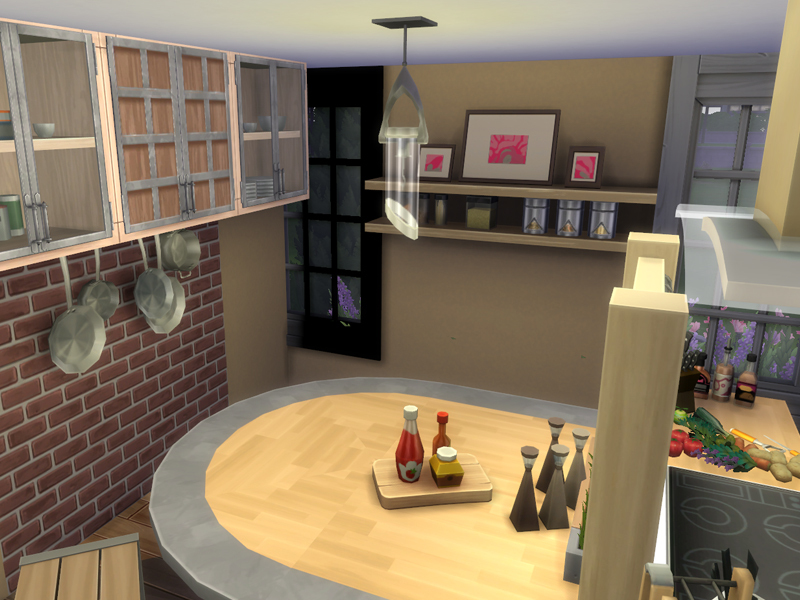 For dining I created an island, which is connected to the stove but still seperated from it by a glas fence. 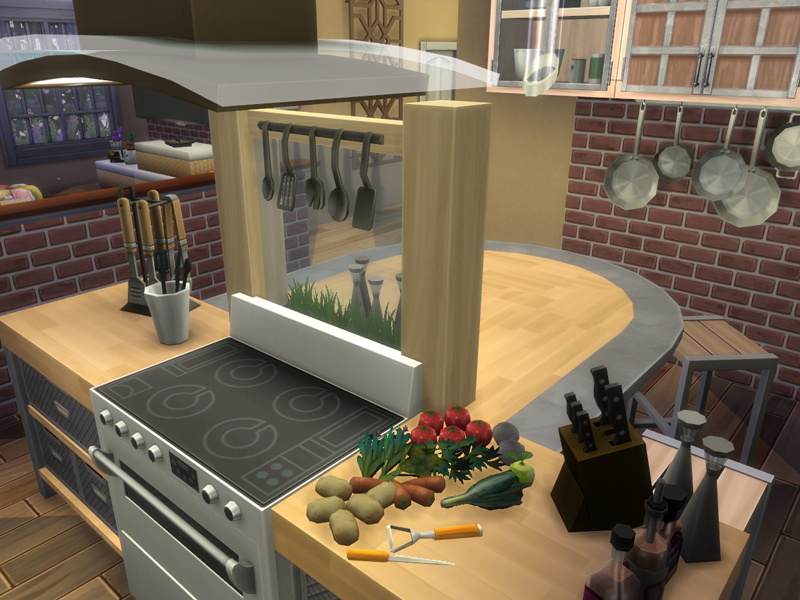 The counter next to the stove got cluttered with some vegetables and herbs, to make it look like someone is preparing food here. This is how I had originally planned the stove area. But my Sim stopped cooking once it was nearly done and had to be placed on a plate. With some testing I found out that she couldn't place it on the counters. Why she didn't want to place it on the free one right behind her is a miracle. So instead of using the end counters I ended up using normal counters. A Little Retreat is very nice! @Cbear13 Very nice furnishing of each of the interior rooms! 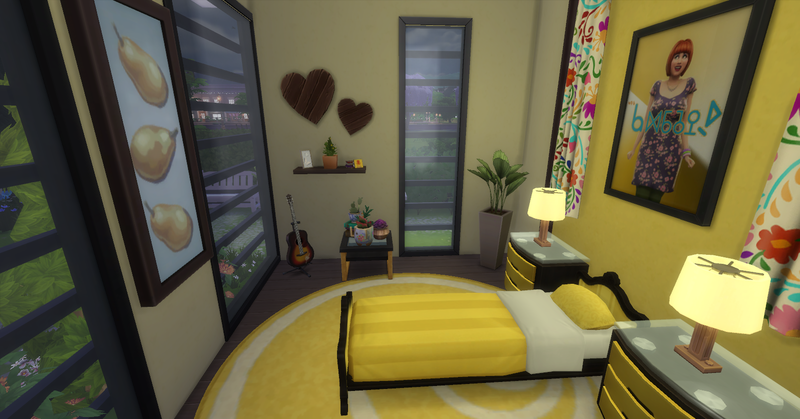 The colour schemes of each of the rooms looks so nice! Very nice bedhead areas! 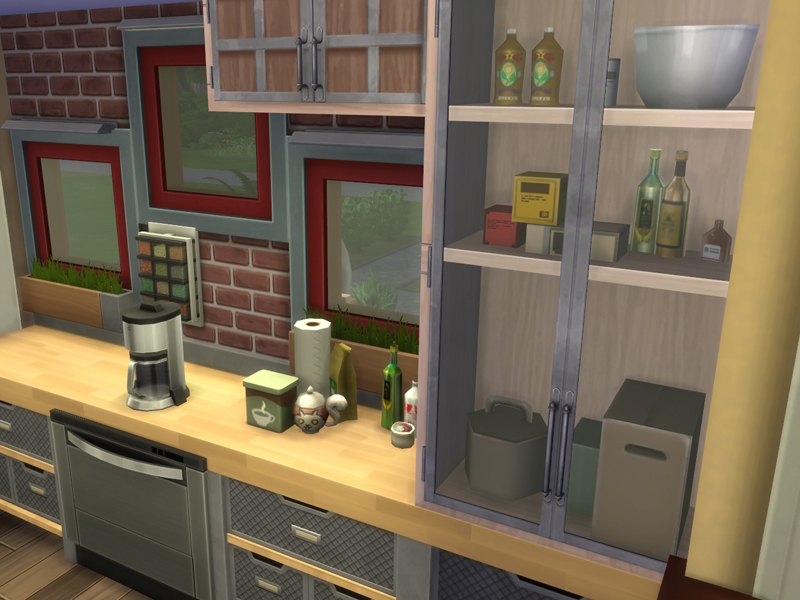 The shelving in the kitchen looks very nice! Very nice placement of the furnishings in each of the room to create nice looks and a great feel to the rooms. The tv nook in the living room is so very nice! The fruit pictures look nice either sides of the tv and the shelves look nice under the tv. The green colour of the sofas and the brown colour of the patterned floor rug looks very nice together. There are many great design ideas in your rooms! 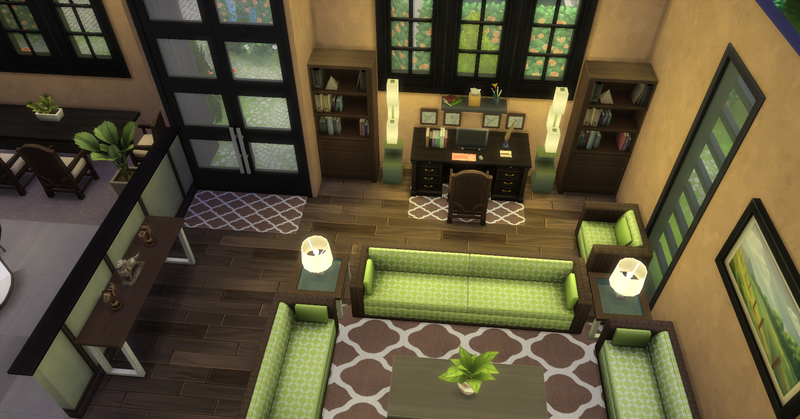 The furnishing of the interior rooms in your challenge build is so very nice! @crysk It was great reading what you wrote to accompany the pictures. 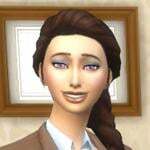 It is very helpful for fellow simmers. You have used so many creative ideas in the rooms, and the rooms all look great! 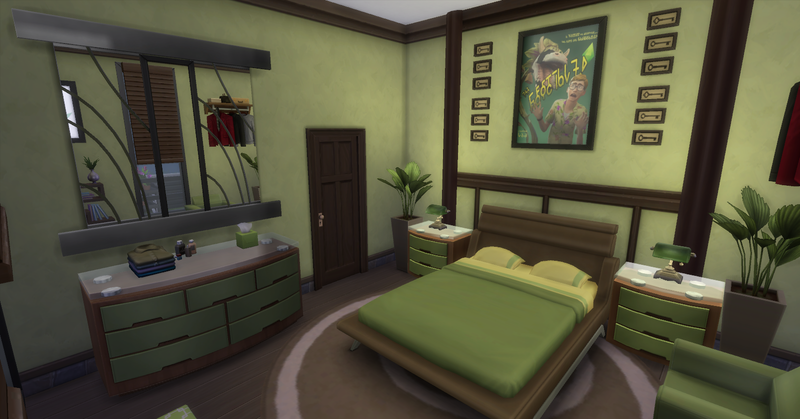 The way you have placed the leafy pictures on the guest room side wall looks great! Very nice design of the kitchen! There are so many very creative ways that you used and placed the furnishings in each of the rooms! It is enjoyable looking at the pictures of your build. Your home is so very pretty and nice! @lisa17ann The flowers in the front garden and along the front fencing looks so very pretty! The curved back porch and outdoors areas look very nice! The greenery look nice on the exterior walls. The mown lawn looks great! It looks very nice how you have used the terrain paints to do the wavy pathways. Very nice furnishing of each of the interior rooms! The colour schemes look very nice. Very nice living room. The books and camera are great touches on the coffee table and fireplace ledge , and candles and logs look nice placed in front of and beside the fireplace. Very nice design of the kitchen and dining room! The plants are nice touches of nature on the dining room. The cake display item, basket of eggs, fruit bowl and hot chocolate items are nice kitchen home touches there. Very nice furnishing of the bedrooms. The pink giraffe and the unicorn looks cute ih the girls bedroom! Each of the rooms are very nice! Lovely cottage @lisa17ann I like how you done the striped lawn I done one similar with pebbles and deep green grass in a chequered pattern It gives a nice affect to landscaping. @lisa17ann *gasping in awe* What a gorgeous cottage, I want to live there! And your pictures are awesome, as usual. Cacti Casa is very nice! @chips46 Very nice exterior of the home and outdoors areas! 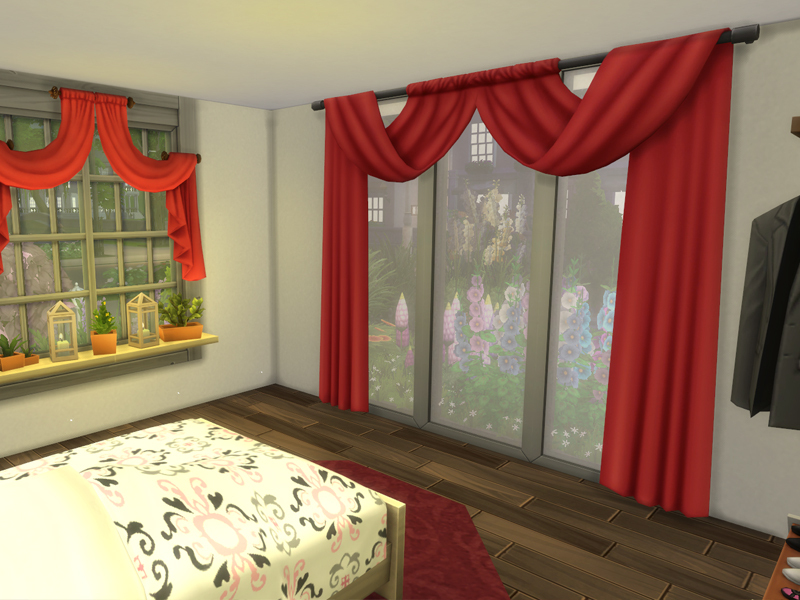 I posted about them on the other thread, Verybnice furnishing of the interior of the home! 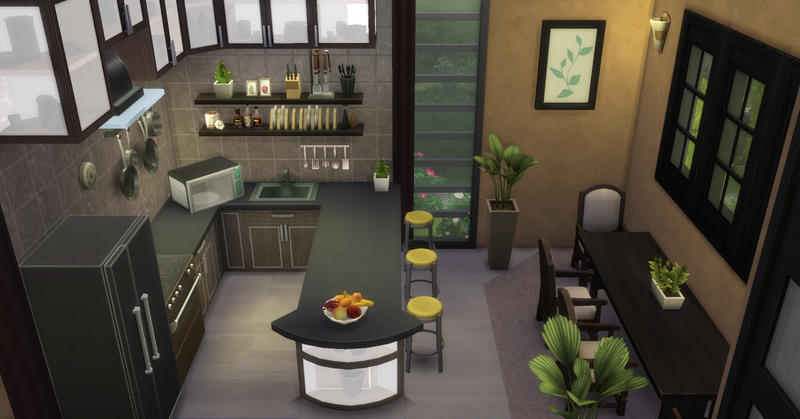 The kitchen design is very nice! The type, red colour and placement of the curtains there and in the living room looks very nice! It looks very nice how the kitchen cabinets are placed on the wall and the items look great on the wall shelf and counter. 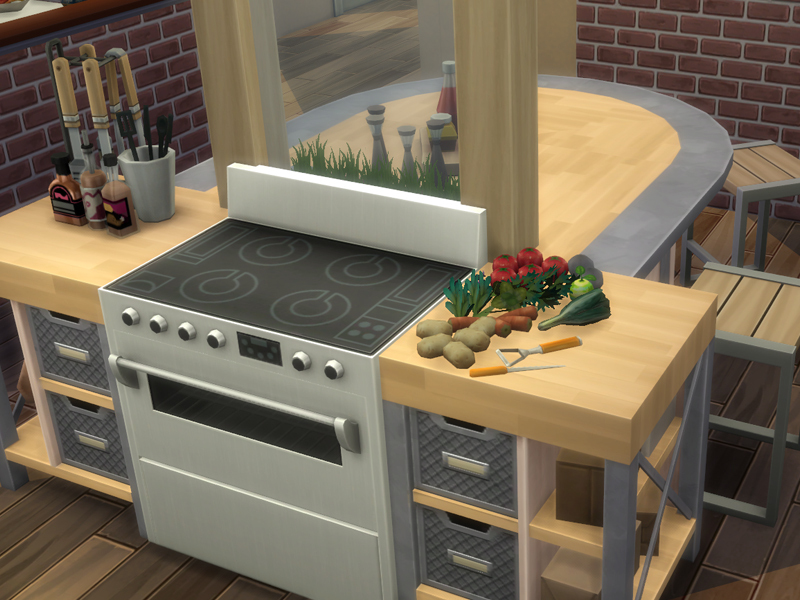 The island sink counter looks very nice! The items on the sink counter add a great homely look to the room. The fruit bowl is a nice touch on the dining table and the patterned floor rug under the table looks nice . Very nice living room! The fireplace and tv nook is very nice! The sofas look nice how they are placed in a u shaped there. 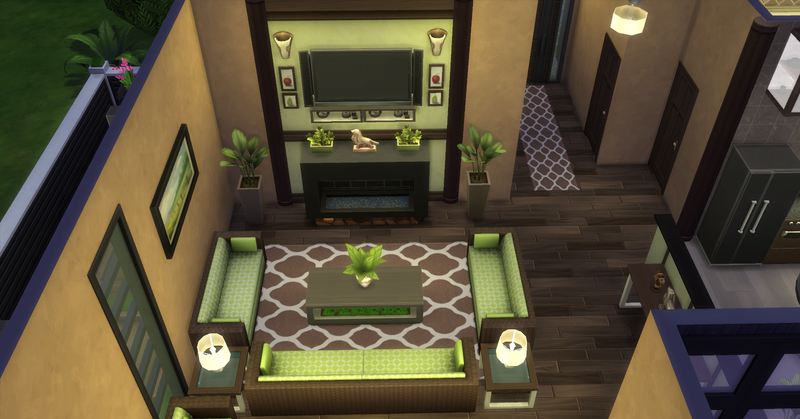 Sims will enjoy sitting there in front of the fire watching tv. The sunflowers look sunny there. The candles are pretty on the fireplace ledge. The portraits and family photos are a homely touch on the walls. Very nice furnishing of the bedrooms! The bedhead nook in the kids room looks very nice! The cabinets look very nice how they are placed there and the cars, sports items and school bag look great placed on top of the cabinets. 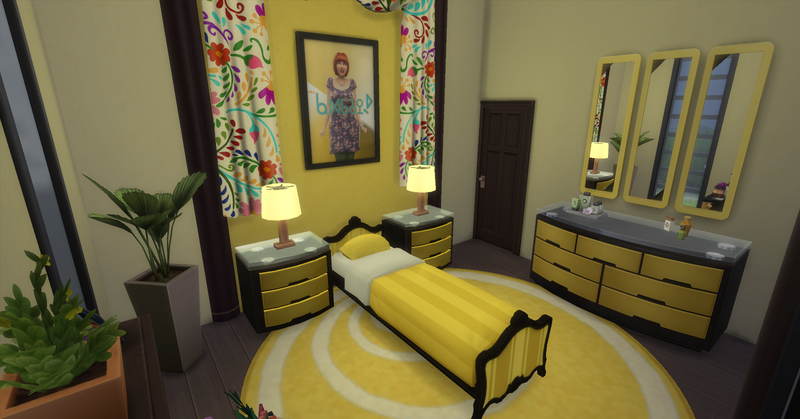 The tissues, roses, and picture photos are nice touches on the bedhead wall in the master bedroom. The folded clothes and shoes rack are great home touches there.